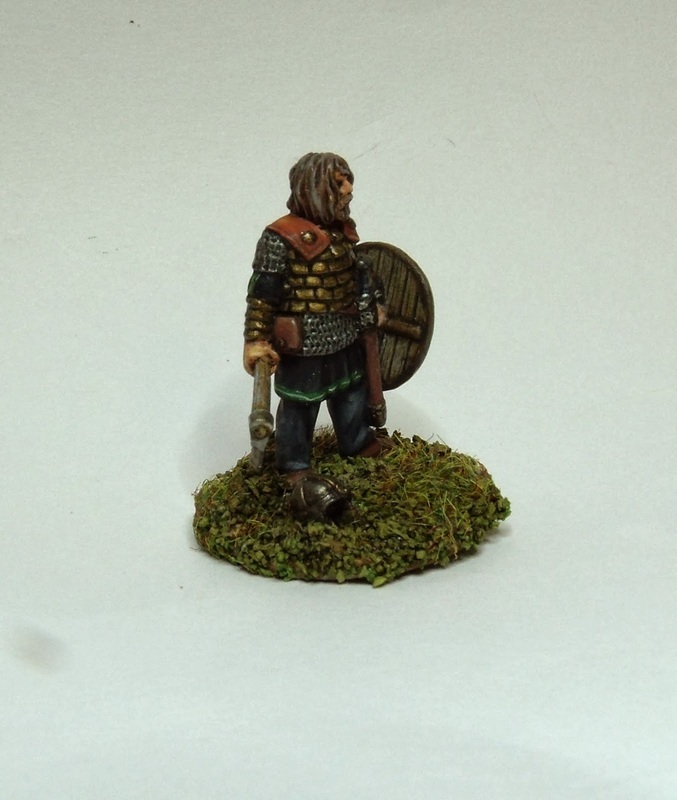 This is Bors, one of Musketeer Miniatures' fantastic Sub-Roman/Arthurian character figures. I couldn't have been happier with this figure. The pose, anatomy and sculpting are all first-rate. The mould lines are minimal and flash is absolutely non-existent. This was painted up as a gift/thank you for a colleague. I've painted up minis in the past for my colleagues who have helped me out with their mass spectrometry skills. I've tried to find figures with quirks that reflect the job or in jokes. This one has been a while coming. I had struggled to find a figure that called out to me that it suited this particular colleague, but finally, Bors did it. Well here he is - hope my colleague likes him. If not, I'll have him back! 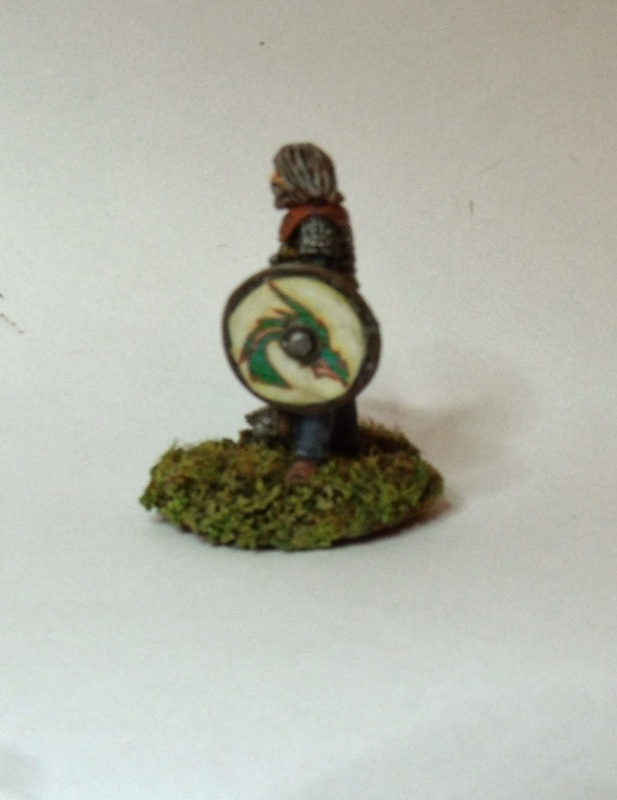 I used a fairly dark, quite limited palette, with just a few bright colours to catch and match the green dragon on the shield (this to reflect my colleague's large collection of green dragons on his desk...). 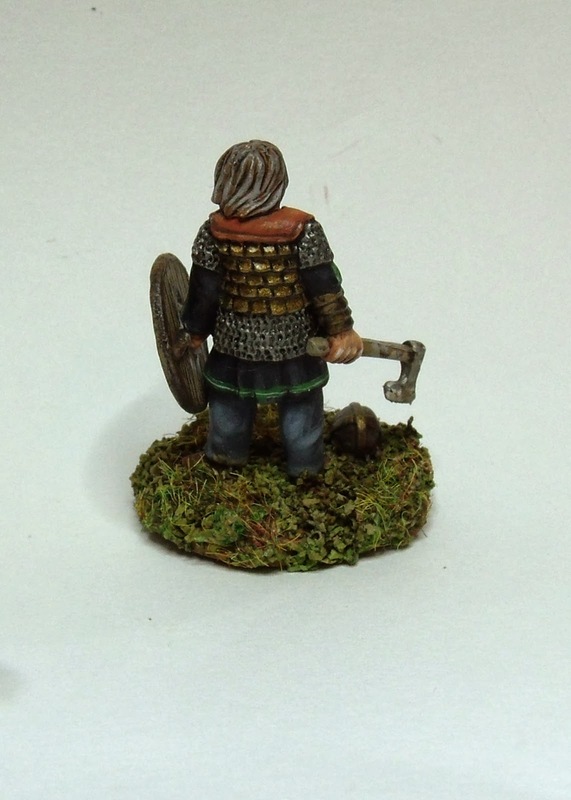 The base is a 2p piece, and the helm is from the GB Saxon Thegns, with the head itself ground out. Bors can grab it in a hurry and be fully armoured. There's something I noticed painting this guy. It's really, really satisfying to work on an individual mini, compared to the batch production approach needed to get an army on the table reasonably quickly. Luckily, I've got a few other "specials" to enjoy! 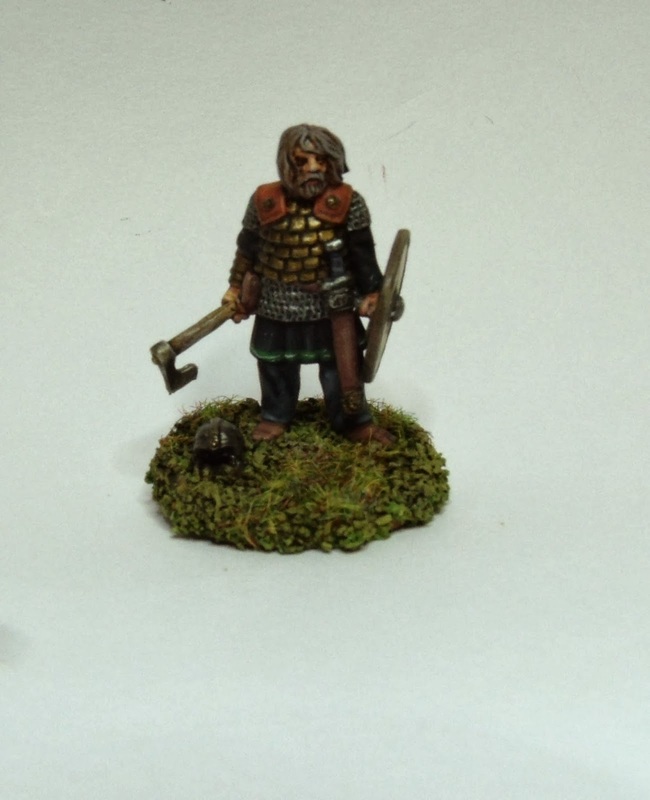 Nicely painted and a nice figure to boot, like the shield design. He definitely looks the part. So well done! I got all livestock, I got all livestock!